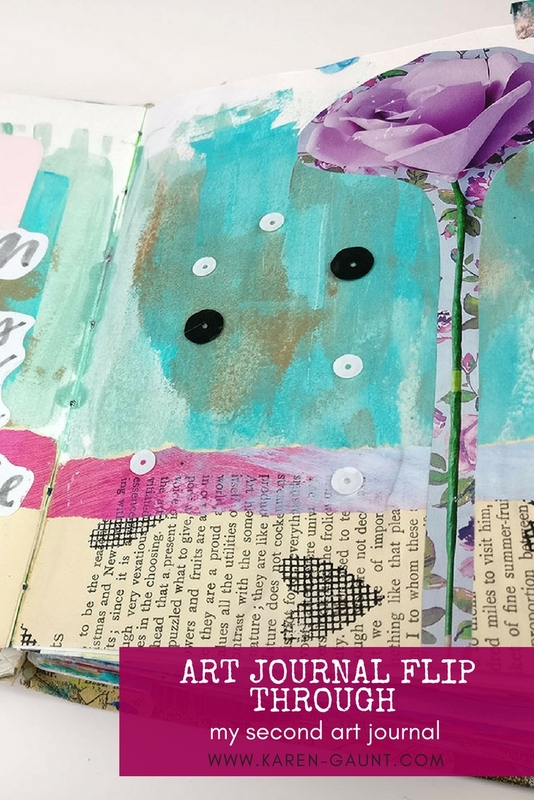 Welcome to part one of my journal flip through from one of my much older art journals! It’s been so fun to look back through these older journals and to see how far I have come and what styles and techniques I still use. This journal still has a lot of the Get Messy prompts inside it as I was still managing to keep up with them all and I was even involved in the Design Team at this stage. 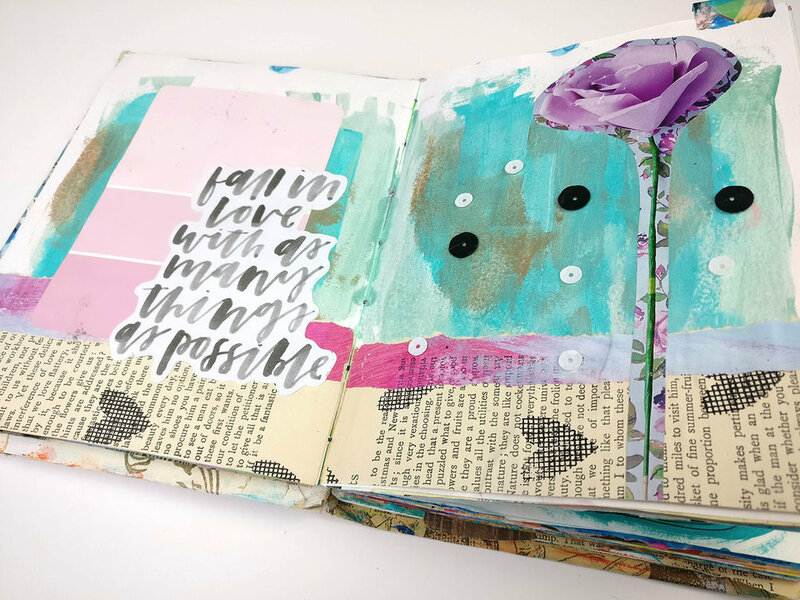 Get Messy is an amazing art journal community to be part of and I would highly recommend it! This journal was made by Vanessa and it was a really gorgeous journal to work inside of. It is coptic bound journal and this means that you get some really wonderful flat spreads to work on. It was the second journal I worked inside and filled up and I think in here I really started to see some elements of my style emerging. You’ll see from the video that I started to really get heavily influenced by the amazing Lisa Congdon If you don’t know who she is you have to check her out. She has some amazing classes over on Creative Bug and her story is super inspiring. So from working through her classes my love of line drawn flowers was born and I am very grateful to her for that! I hope that you guys enjoyed this trip down memory lane with me! I loved going through the older spreads and seeing themes emerging and remembering things from looking at the pages. These journals really are like a trip down memory lane for me, I’m so glad I started down this road to creating, it’s been amazing to me!